I realized when my middle school son asked me what I had I didn’t know how to explain it in a way he could understand it. 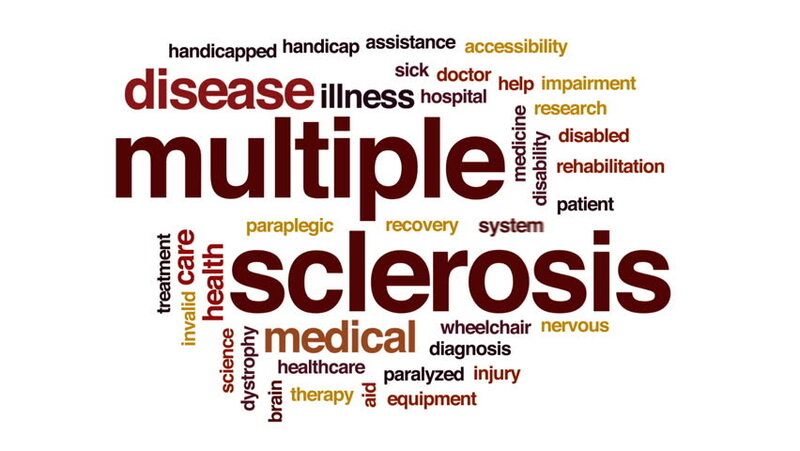 People are familiar with MS, but they don’t really know WHAT it is. I’m not a doctor, have heard it explained and shown in “adult” terms, but I’m going to try to put it in terms that ordinary people can understand. The 1st thing I can tell you MS is an autoimmune disease. It means a person’s immune system thinks its own immune system is the bad thing it has to fight. When a normal person gets sick, the immune system fights that illness because it doesn’t belong in the system, so you get better. Now let me try to explain it, Your nerves have a protective coating, kind of like a wire to a cord has a plastic coating to protect the wires. With MS, your body starts eating away at the protective coating. 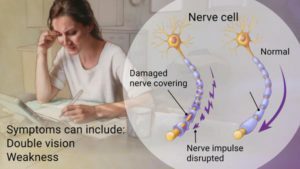 Once places in that coating get eaten through to the nerves, that’s when you start seeing disabilities in people with MS.
MS affects everyone differently. Some people it affects sight, speech, hands, arms, legs, and/or back. A person gets disabled the nerves are made bare. It can even go as far as effecting urine and bowel control. That’s why you see many people with MS in wheelchairs. The disease has worked on that person for a long time, so they are no longer able to walk. Others use a cane or walker to get around because of balance issues. As far as it is for me, I use a walker around my house and for places that I don’t have a lot of walking. I use a manual wheelchair when we go places with a lot of walking. It stays in our vehicle and I refuse to use it in the house! At this time, There are plenty of chairs around our home to sit in when I need to. This is a picture of what a normal and MS nerves would look like. I’ve explained what MS is and how it effects people. Now I’m going to tell you how it affects ME. Not everyone is the same, so what I say may not affect someone else the same way. 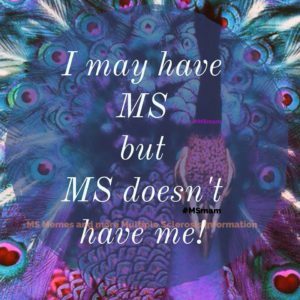 My husband saw me writing this and later he asked “WHAT and HOW do you feel with MS”. I was confused at first because I see him everyday and several times a day because we live on the farm where he works. He knows I don’t have depression so I’m confused about your question was my thought. I was sitting on the couch with my legs up and he was sitting in the recliner. My expression looked puzzled at his question, so he said “if I want to stand up, I just stand up. Show me how you stand up?” I put my feet on the floor and pushed myself up with my left hand while my right hand was on my walker handle. He asked “Is that the only way you can stand up?” “No” was my response. So I did it again by putting both hands on my walker handles and just stood up. I need a walker because I have balance issues that a cane won’t help anymore with my MS. I walk sock-footed (gripper socks) in the winter, barefoot in the summer around the house because I can feel the floor. I said there is difficulty moving my right leg at times whether it’s lifting it into bed, the shower, getting in the vehicle, even walking when I’m really tired, or sitting on the couch. These questions come from wondering HOW I feel because he can SEE how it affects me everyday with things I do. I think it’s just the circulation differences, but you’ll have to ask a doctor to be sure. It’s only my opinion. Balance is my big problem. I have a difficult time when I have to do something with both hands at the same time. There better be a wall, the stove, the counter, you get the idea for me to lean against.. I usually need 1 hand to hold my balance and 1 hand to do the job. When it comes to washing pots or pans by hand, I lean against the counter and do my best NOT to get my t-shirt soaked. The interestinting one for me is putting toothpaste on my toothbrush. Then it comes to getting dressed. My outfit for the day is laid on my bed 1st. The interesting item for me to put on are socks! I can still bend my legs and reach my feet, but getting a foot on the bed to put a sock on I usually rock to be laying on my back for each foot. For those of you that can’t they make an item that sits on the floor. You put your sock on it, then you slide your foot on top and, Voila!, your sock is on! I don’t have buttons on a shirt, unless I’m going somewhere, then I have to use a little tool (that I got from Amazon) that pulls the button through the buttonhole. I don’t have the fine motor skills to do it myself. I do not take the expensive MS injections, but I do take two oral medicines 4 times a day that help control the shaking. I can sit on the floor and use my walker to stand up, but leaning over I have to hold on to something so I don’t end up face first on the floor. Stiffness is also a problem. Sometimes there is a slight delay in getting my knees to bend when I sit down or to even bend to walk. I constantly feel bad for my family for the things I need help doing. Laundry, getting things from the garage freezer, or just going places. Should I be depressed? Probably, but I’m not. That’s the first question I’m asked by a doctor. It’s not even a thought! My family is my strength and humor of the whole situation. They know it’s not my fault and it’s not their’s. It’s just the way it is! Do I wish I could be more independent? Of course! Who doesn’t? But that’s in a perfect world. This is just my way of dealing with MS and cooking! If my Fairy Godmother was granting a wish it would be to know more about bone-marrow, stem cell treatments. Injections didn’t work with me, so I’m interested in treatments for me and the other million people who deal with MS! A February 2019 study, funded by the National MS Society, has confirmed that nearly ONE MILLION people are living with MS in the United States, more than twice the original estimate from a previous study. This breakthrough is a pivotal moment in the MS movement as a scientifically sound measure of prevalence helps us better understand the disease and its impact. With twice as many people living with MS, solutions for MS are now twice as important. It is also estimated that 2.3 million people live with MS GLOBALLY. About 200 new cases are diagnosed each week in the United States, says the MS Discovery Forum and rates of MS are higher further from the equator. With so many stages of disability to the disease, I figured they have to eat and it shouldn’t be hard work to get a home-cooked meal on the table, since fatigue is a big side effect of MS. So I thought that since MS strikes most people between the ages of 20-40 years (including me), there would be a high probability of spouses and/or kids. I’ve found ways to make meal preparations easier over the years. If I have extra time, I might make more of an item to put in the freezer for another meal time or have leftovers to reheat. The best way to learn is don’t be afraid to try and don’t be afraid to fail. My family has been “guinea pigs” a lot. They will eat what I fix once. If they don’t like it, I tell them to help next time then they can have a say. If I actually plan ahead, I find meals for the crock pot to eat several meals, especially in the summer so the house isn’t heated. It works good in the winter for soups when it’s cold outside, too. I also get to be a “guinea pig” when my husband wants to try something. Usually food is edible, we just get to discuss what could be done better next time. This is what we talk about when we sit down to eat “guinea pig” meals. We live in a conventional ranch house in a hill. Air conditioning is a must for me in the summer. We don’t keep it igloo weather, but our weather-backed curtains are pulled shut, the ceiling fans run throughout the house, and we have an extra stand fan for those really HOT days.Now back to cooking! There are a few ingredients I find necessary in a meal and the rest is extra or filler if needed. For my family it’s meat a liquid (cream of something soup or a jar of spaghetti sauce), maybe cheese, and a way of cooking it, such as skillet or oven. Onions, peppers, pasta are good for flavor and fillers. Just watch the liquid to dry ingredients ratio. Some liquid will evaporate when cooking. If you have leftovers in a glass dish to reheat in the oven, check the liquid amount before you put it in the oven. Add water or milk depending on what your dish called for. Don’t take the dish from the refrigerator into a preheated oven! The temperature change could break the pan leaving you with a big mess in the oven. It’s not worth eating because of glass shards that may mix with it. So this doesn’t happen, I check the liquid and put it in to preheat with the oven! Just this morning I added a couple of frozen ham steaks to a couple of remaining pieces from yesterday. I added enough room-temperature water to cover. With frozen ham steaks and a cold dish, I put them in the oven with lid on pan, put it in the oven, let it preheat with the oven, and cook for a couple hours at 350 degrees. It was good! No breakage involved. It was even a pan we got for a wedding gift! I made a quick cheesy garlic bread the other day. My meal was spaghetti. I boiled spaghetti in a 3 quart pan. When I drained the spaghetti, I added a jar of Italian sausage spaghetti sauce to the saucepan on medium-low to warm. When it was getting warm, I added the spaghetti to it. While the spaghetti was cooking and sauce heating I had my son help me make a quick, cheesy garlic bread to go with it. It was a roll of refrigerated crescent rolls. I separated the crescent rolls into triangles, spread a layer of margarine on them, sprinkled garlic powder on the margarine and put some leftover, shredded mozzarella cheese on them. 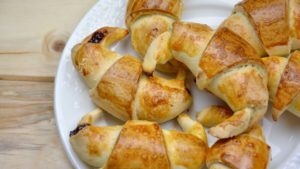 Then I rolled them up like crescent rolls, starting with the wide end, placed on a sprayed cookie sheet and baked according to package directions. I was doing laundry that day and didn’t have a lot of time to prepare a meal. The spaghetti sauce had meat, the spaghetti noodles was a filler, and the bread was an extra. Meal made. Problem solved. Less than 30 minutes to make with help from my son. Refrigerated crescent rolls is one item I always keep on hand. If not used for bread they can be seams together used as a bottom crust, pressed together as squares, filled with pie filling drizzled with icing and used for a quick dessert or sweet breakfast treat. I just made a crock pot full of chili when it was really cold and snowy here. Chili has the basic ingredients of browned meat, beans, and tomato liquid. Then everyone gets involved in what else would make it good. I used 3 cans of chili, pinto, kidney beans, 1 quart of home canned tomato juice (t.j.) (that needed to be used), 1 small can of tomato paste because the home canned t. j had more water, a can of diced tomatoes, chopped onion, green peppers, chili powder. That filled a 4 quart crock pot. We are on our 3rd day of eating it. We have shredded cheddar cheese of some kind to put on each bowl and mix it in with soup crackers. I put it on high to cook just to thicken it a little. I’ve used soda-pop size cans of tomato juice or the majority of a 48 oz. can. I leave some so my husband can have a red beer or 2. I have even baked potatoes for chili cheese potatoes or fixed hot dogs to have chili cheese dogs or Fritos on a plate for chili, cheese Fritos when the amount of chili left gets to be less. I have used a chili seasoning packet if I have it on hand in place of just chili powder. For us I don’t really use a recipe. I know after this long what it requires, then I just start adding. If it starts looking a little dry, I will add more t.j., or a can of tomatoes for more liquid. I don’t use plain water because it will dilute the flavor. 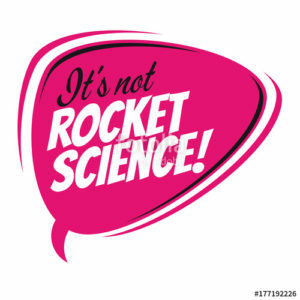 You just have to remember cooking IS NOT ROCKET SCIENCE! Try, fail, but keep trying and it will get easier! Just remember if the pan is glass square, round, or rectangle it probably doesn’t go on the stove top, it probably goes in the oven. Metal DOES NOT go in the microwave! When I 1st started cooking, I had to have EXACT measurements or ingredients. If you do it for 23 years, you can “wing it”, too! If you don’t have someone to learn from and reading a recipe is like a foreign language, start with a meal kit. They are a good start to cooking! They are an easy start to cooking with a good meal when you end. Don’t forget they have special diets. Ingredients are shipped to your home or work with plenty of ice and insulation in boxes. All you have to do is put them in your refrigerator until ready to prepare. Follow the instructions, which they help you along the way with pictures, too. Cook2connect.com plans not only to help people with MS, but anyone get a home-cooked, simple meal on the table easier and forget the fast food drive-thru more! This is a site for people who are tired of fast food, drive thru meals and all the calories involved. It is for the cooks who don’t have a lot of time to fix a meal, don’t want to spend a lot of time in the kitchen, want to know what ingredients go into their food, or want a made-at-home meal, but don’t know much, if anything, about cooking or don’t want to stress about what to fix. 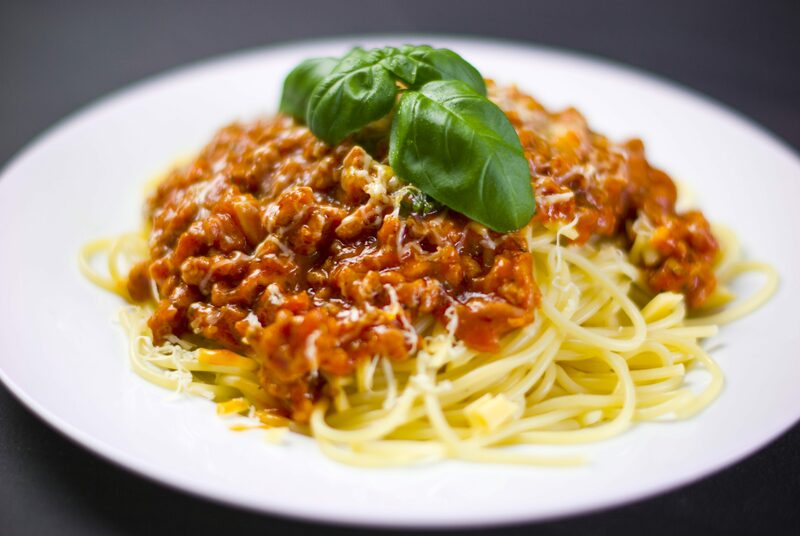 This website gives you places to get recipes to make, a subscription to simple-to-prepare courses, or a home delivered meal kit with instructions your family can easily assemble or those already-made, chef prepared meals chosen ahead of time. These meals even work good for aging parents still living at home, but you don’t want them using a stove. You store these meals in the fridge and finish in the microwave. For those starting out, it even has places to get culinary tools to help. Many ways for you to get a meal on the table effortlessly. Since everyone has to eat, I would make a website not just for people with MS, but anyone who wants a home cooked meal on their own table with their own family or friends in a short amount of time with as little effort as possible. A good thing is you get good meals that cater to specific diets.I know there is A LOT of information, but with a busy life (and MS) it is easier to remember 1 website instead of 5. So this website will allow people to talk about their day with family or friends while preparing and eating in 1 of these 4 ways. Whether you have MS in your family, another disability, little time because of activities, or just want healthier choices of what to eat, other than what drive-thru tonight, be sure to check out cook2connect.com. There’s something here for everyone, no matter what skill level you might have in the kitchen, you’re sure to find something here ranging from simple recipes, simple cooking magazine subscriptions or cookbooks, food prep tools, pans, cookware, or small appliances, to even precooked home delivered chef-prepared meals . Be sure to check out these places for more than 1 thing. Many places offer more than 1 topic I’ve talked about. Cook2connect is not about a disability. It’s about getting family, or friends, together for a simple, healthier home-cooked meal (even if you have a disability), so you can talk about what’s been going on! Happy, Healthy, Easy, and most of all Enjoyable Eating! Please leave me comments below about my website, me, or just anything you want to say to me. My email is sooz@cook2connect.com.I welcome emails and will respond as quickly as I can. THANK YOU for looking!